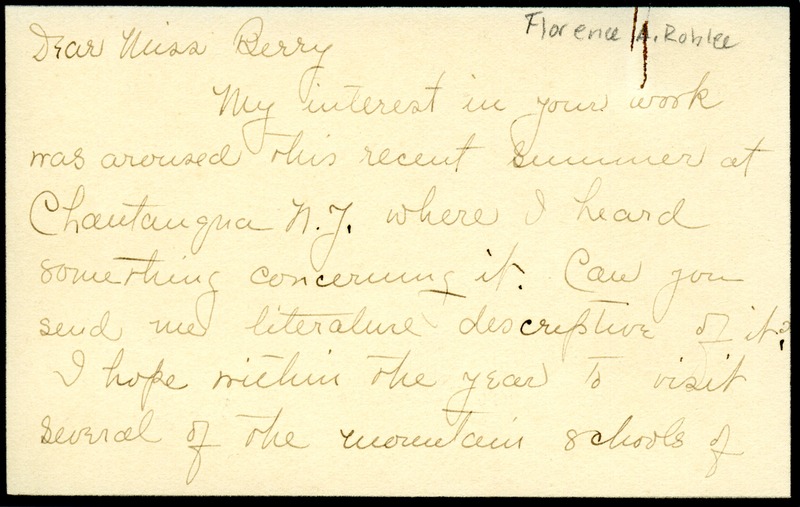 Florence Roblee writes to say that her interest in the Berry Schools was aroused in Chataugua, NY where she heard about it. She requests more information and hopes to visit the mountain schools of the South so she asks for opportune times for her visit. 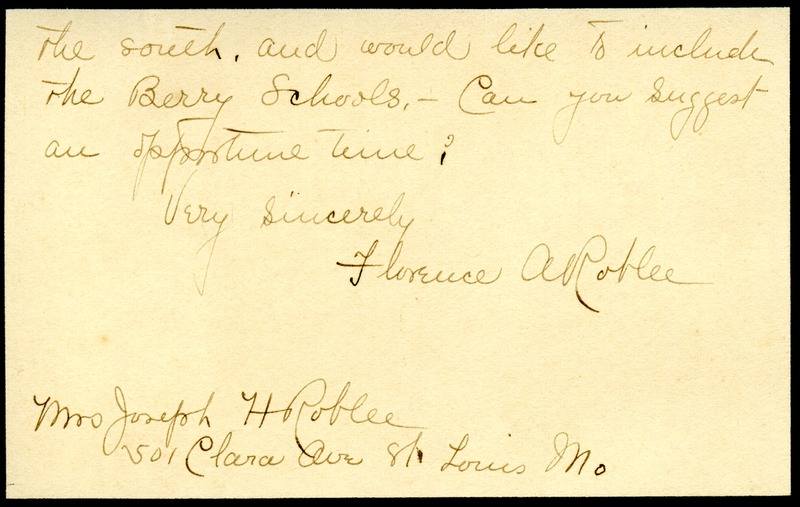 Florence A. Roblee, “Letter to Martha Berry from Florence A. Roblee.” Martha Berry Digital Archive. Eds. Schlitz, Stephanie A., Chelsea Risley, et al. Mount Berry: Berry College, 2012. accessed April 21, 2019, https://mbda.berry.edu/items/show/5603.